Mysuru: In a bid to curb crime at Gokulam, which comes under the purview of V.V. Puram Police Station, as many as 16 CCTV cameras have been installed in the locality to keep a watch. 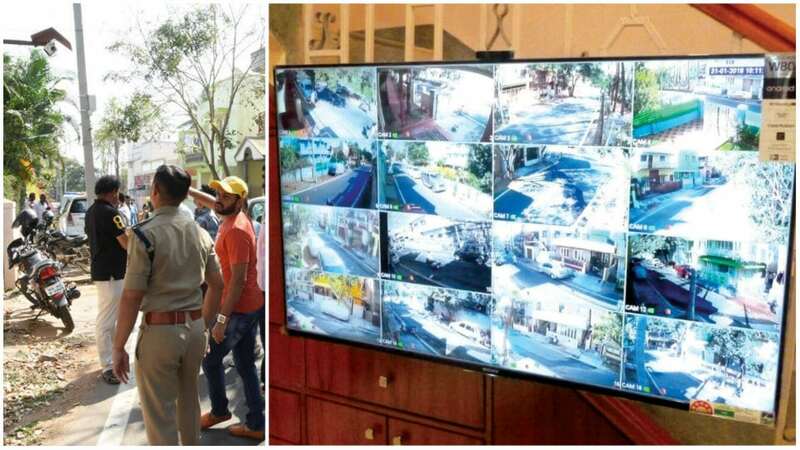 The decision to install CCTV cameras was arrived following many awareness programmes that were launched by Mysuru Police, and based on feedback from Beat Police in the area. As part of the awareness initiatives undertaken by V.V. Puram Inspector P.S. Suraj and team, the residents of the area are being informed about the advantages of CCTV cameras. 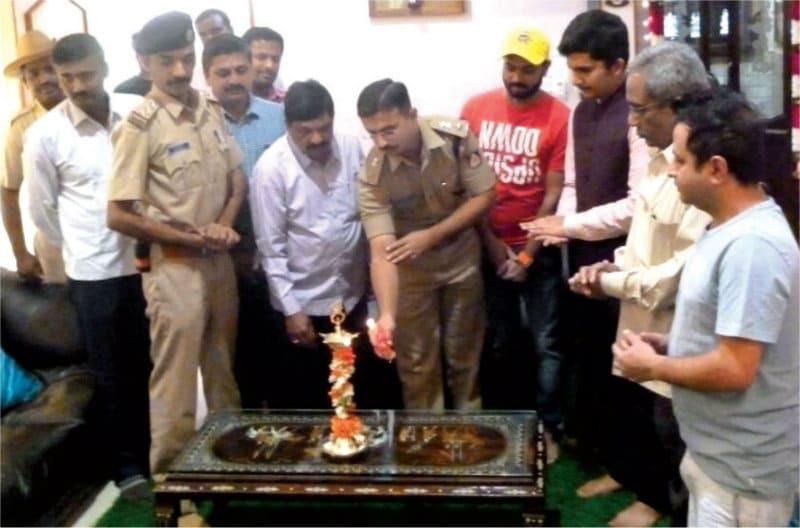 DCP Dr. Vikram V. Amathe seen lighting the lamp to launch the CCTV cameras at former revenue officer T. Raju’s house in Gokulam here on Jan. 31. The cameras have been set up at various key locations across Gokulam, including Gokulam 3rd Stage, 9, 9A and 10th Main Road. Former revenue officer T. Raju, who was assisted by youngsters of Gokulam – Vinay Vaidyanathan and Karthik Raj – helped about 22 residents of the area install CCTV cameras near their homes. The cameras are high-end versions and have high definition and focus. These cameras were unveiled by Deputy Commissioner of Police (Crime) Dr. Vikram V. Amathe at Raju’s home on Jan. 31. In a press release, the Police have requested residents of the city to install CCTV cameras in their homes, since it could come in handy during investigations.